Who has not used Google Earth to locate their home or the island they plan to visit on vacation? Scientists do the same, but in their case they also use the tool for purposes that are a little different and unexpected, such as discovering places where new species can inhabit. Cartographic and navigation devices of this type, with which anyone with a computer and Internet access is familiar, help the researchers in their daily work. Having millions of click-through images makes it easier to study climate change, but not just that. With the right technology, the usual photographs that are made to map the streets to include them in a map can go a step further and even detect gas leaks. If botanist Jonathan Timberlake had been told in 2005 that Google Earth was going to help him discover new species, he would not have believed it. That year the Earth-simulating program debuted by superimposing satellite images, aerial photographs and data from geographic information systems (GIS) onto a 3D globe. “We thought that these images would only help us to have a preliminary view of mountains difficult to access and about which little was written,” he tells OpenMind. 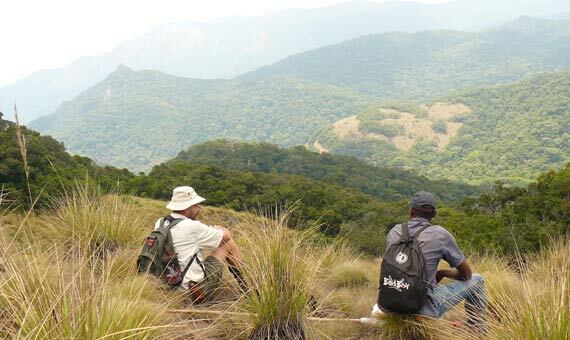 Timberlake, who has led numerous botanical expeditions in Mozambique in search of new species, penetrated the exuberant Mount Mabu area thanks to these images offered by the search engine. The mountain hid plants, reptiles, butterflies and crabs unknown to the scientific community. “Satellite imagery helps to focus attention on areas that may have been overlooked. It does not mean that new species will be found there, but there is a greater possibility that it may occur,” says Timberlake, who currently works at the Royal Botanic Gardens of Kew (UK). Nowadays the researcher routinely uses these photographs to map areas of dense grasslands or forests and see which ones are disappearing. They are also useful for checking where fieldwork has been done, observing habitats and calculating the altitudes of those areas. In addition to helping to explore virgin sites, these tools are also useful for monitoring known areas and revealing hidden data. Joseph C. von Fischer, a professor in the biology department at Colorado State University (USA), had an idea a few years ago for locating methane leaks under asphalt. This hydrocarbon –the main component of natural gas– flows through city pipelines and heats thousands of homes. The researcher came up with the idea that if he installed an infrared laser device in a car that was travelling along the streets, he could map out the leaks quickly and efficiently. This laser is very useful in locating these leaks, which pass unnoticed to the human eye. 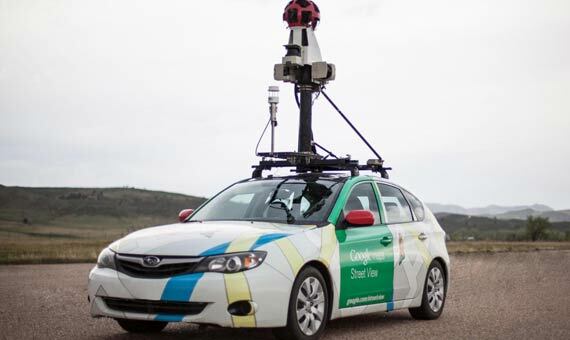 Scientists are collaborating with Google to install these devices on the cars that photograph streets for Google Street View. For the moment, they have mapped the methane leaks in Boston, Burlington, Chicago, Dallas, Indianapolis, Jacksonville, Los Angeles, Mesa, Pittsburgh, Staten Island and Syracuse (USA). “When the gas escapes, it can be a safety hazard, as well as a waste of the resources that consumers end up paying for,” he tells OpenMind. “By using laser technology, these analysers are about 100 times more sensitive to methane than devices commonly used by natural gas companies to examine leaks,” he adds. According to the researchers, if they detect 8% of the largest leaks and they are repaired, emissions would be reduced by 30%. It should not be forgotten that methane is a very powerful greenhouse gas that absorbs the heat emitted by the ground, causing the atmosphere to warm. Other researchers such as Pablo Trujillo, an expert in the fisheries sector in East Africa, highlight the usefulness of these tools to monitor the impact of climate change, especially in vulnerable areas such as estuaries or beaches. “Today, anyone with their computer and an Internet connection can do research of this type and many more things,” Trujillo explains to OpenMind. In his case, he used Google Earth to survey 91% of the Mediterranean coast and calculate how many fish were being reared in ocean fish farming. He arrived at 225,736 tonnes, a figure very similar to that calculated by the Food and Agriculture Organization of the United Nations. This monitoring extends to a myriad of places. Aware of how laborious it is to look for images from different years to make comparisons, the Google Earth team has updated the time-lapse function of the application. Now anyone can see how the ice surface of glaciers has diminished over the last thirty years or how urban development has changed in a particular area. This remarkable tool also streamlines the work of scientists.